At long last, here is the finished print – and yet another dodgy photo courtesy of the iPhone….. 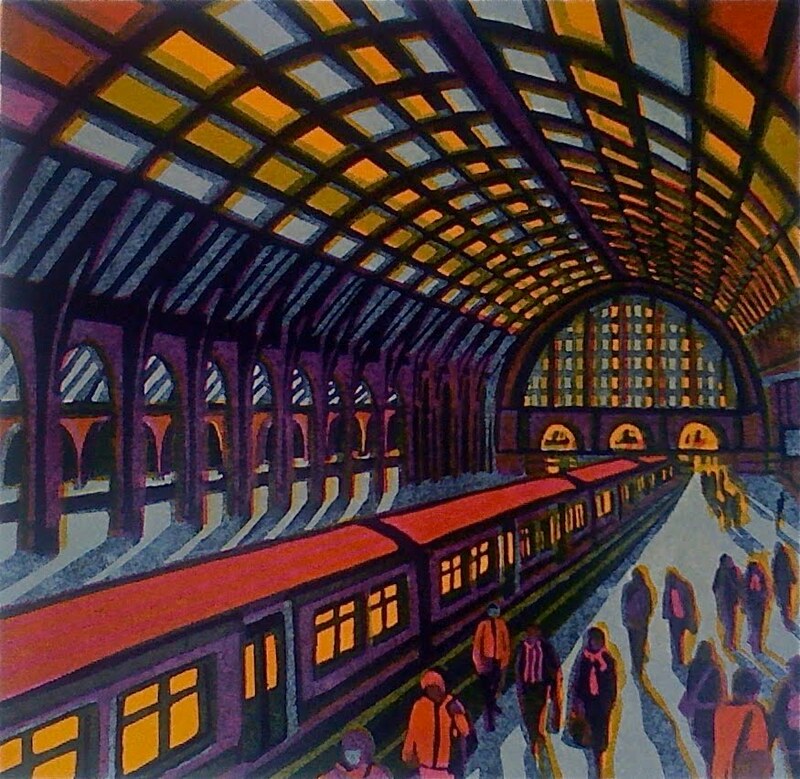 This entry was posted in New linocut, Train Stations by Gail Brodholt. Bookmark the permalink.